The HIB Metro Washbasin is a perfect choice for any cloakroom or en-suite and can be can be fitted on its own or in conjunction with a vanity unit. 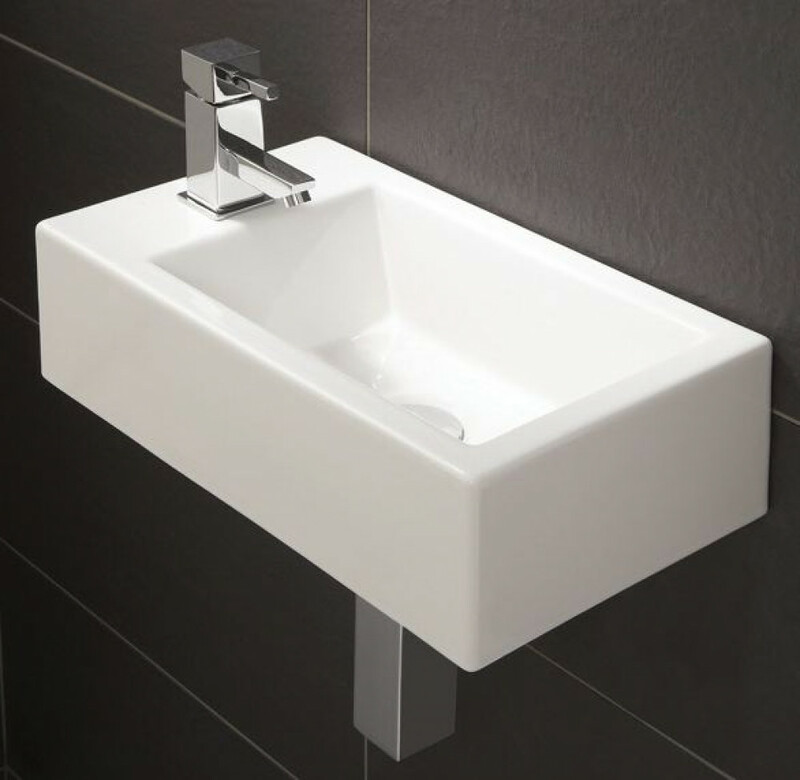 The basin is made from ceramic and can be hung with the tap on the left or right hand side of the basin, there is a choice of recommended optional basin waste and basin traps to choose from to complete your purchase. The Metro washbasin is perfect for any cloakroom setting and can be fitted with the tap on the left, or on the right hand side. The basin has no internal overflow therefore it is recommended that the optional free flowing basin waste is used, this prevents water from overflowing the basin.